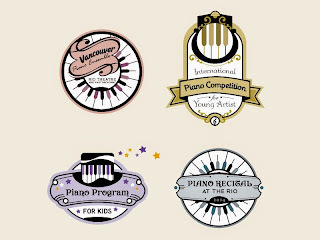 If you want me to design your logo or your web header, you can contact us via email or visit Graphic Identity portfolio page. A discussion will be the follow up step to find best design or theme that will fit to your blog (web) at a very interesting offer!!! I made 3 sets of corner design photoshop brushes. Actually the shapes were designed in half parts that consist alone as photoshop brushes. Make a copy in a new layer and create mirror FX of them by rotating and flipping, so then you can find interesting corner design ;). The result of these photoshop brushes mirror effect could be various, so I suggest you to give a bit of try. 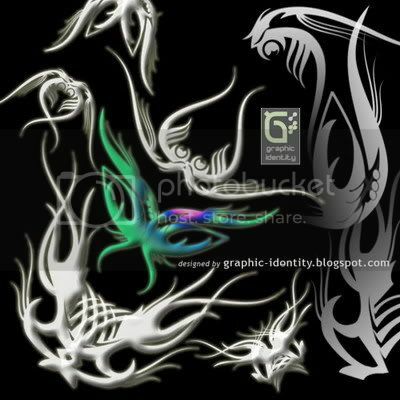 It was inspired by Design Fruits Tasty Tattoos, which are more complicated in shape and design than mine. He he he, I don’t know if you’re going to like these, heck…I’ll accept all your positive and negative appreciation to all of my designs. Each of brush is categorized as medium in size (942px – 1246px). I would like to remind you that all of my 'Free Design Box' files are FREE (for personal or commercial use). But after I found that my previous Photoshop brushes set were hijacked by someone else, please read: Legal Usage to employ Graphic Identity's 'Free Design Box' files. 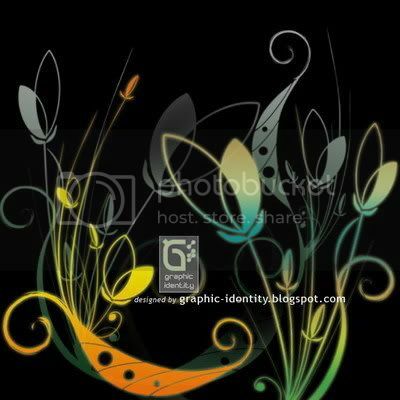 Talking about flowery style, and many experiments I’ve done to create foliage shape in Illustrator, so now I share them with you: my Fantasy Floral Photoshop Brushes – Part 2. There are only 3 sets of photoshop brushes inside .ABR file…not much, but I’m sure you can use them as decorative corner element in your design, or as blending shape vector to the background. Do rotate things and add some style into it. When I have a chance to design again, I‘ll be back with more simple photoshop corner brushes. Each of brush is categorized as small in size (985px – 995px). Thanks to d3c3nt-gurl, who send me a feedback of how should I provide PNG files. Since this can be useful for PS 7 users. Stay tune and Enjoy !!! Each of brush is categorized as small in size (900px - 1024px). 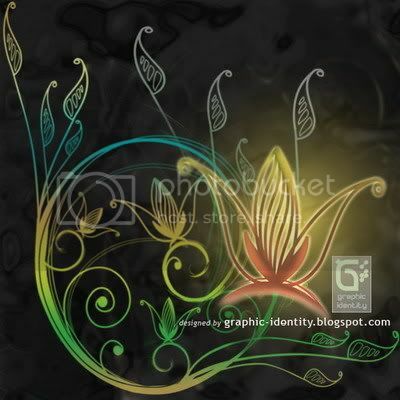 Download the Graphic Identity - fantasy floral.ABR (308 Kb) inside a WinRAR archive file. I also included PNG files, just incase you still use PS7.